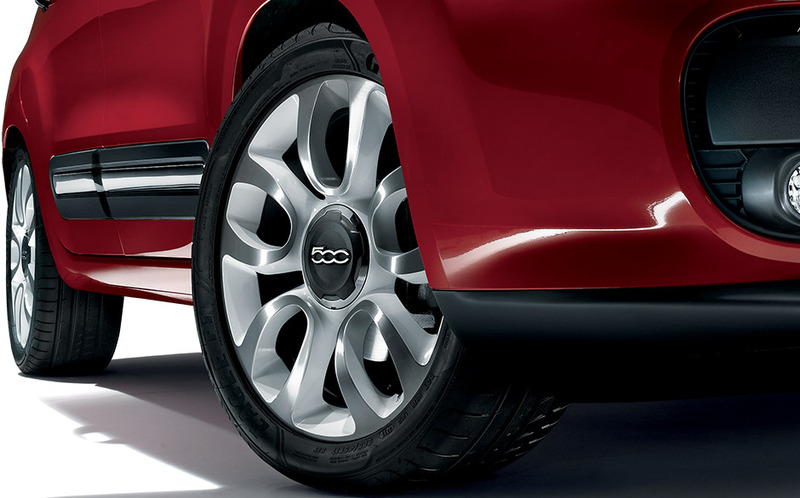 500L adds lines that help protect and add comfort to the 500's traditional design. The barely sloping windscreen and two-piece knuckle increase room and visibility for the passengers, and give the driver a great feeling of safety. The extensive window space that surrounds the driver reduces blind spots, allowing vast quantities of light to fill the interior in perfect 500 style. 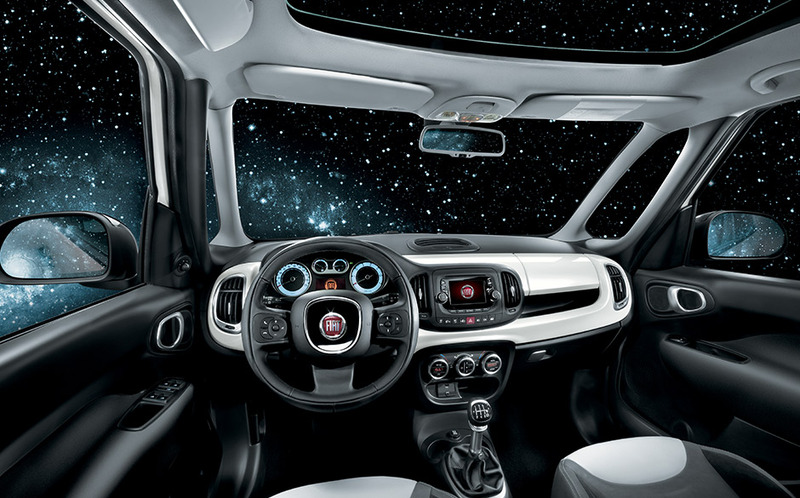 The panoramic roof, presents anyone travelling on a 500L with the broadest stretch of blue of its category as much as 1.5m2. Two versions: fixed and skydome. 500L extends the concept of practicality because with its 4.15 metres in length, 1.78 metres in width and 1.66 metres in height, it combines the space and interior comfort of a people carrier with the ease of parking of a city car. The 500L is truly unique. With its 10 body colours, with 2 more for the roof and 3 for the rims, the 500L is the car that offers more customisation solutions than any other in its category. Don’t be surprised, after all it is a 500. 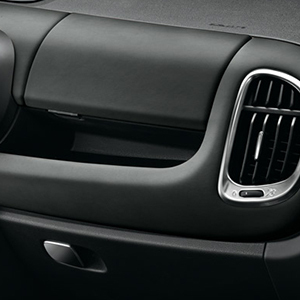 That is what 500L is about: always positive, smiling and ready to welcome everyone, comfortably. with its 3.17 m3 of living space, to be enjoyed in complete freedom. 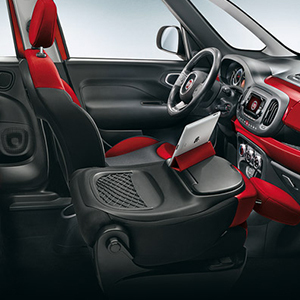 Every 500L seat can be configured in 8 different ways for a total of over 1,500 possible combinations. The front passenger seat and back can be folded over to become a table and the separable back seats, besides being adjustable lengthwise, thanks to the “fold & tumble” function can fold over on themselves with a simple gesture. So you can have a flat loading platform that exploits the entire length of the car. The 455l luggage compartments can reach a load capacity of 1480l with the back seat folded over. With its 22 container compartments, on 500L you can have everything you need within arm’s reach. Whether it is a laptop or a phone, a bottle of water or an umbrella, there is room for everything and everyone on 500L.